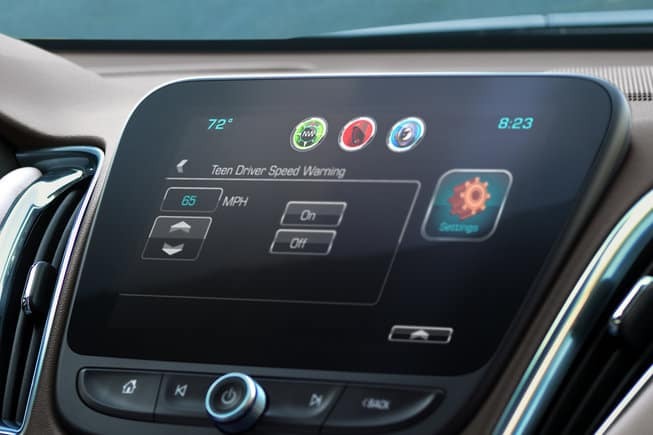 Chevy technology is at the forefront of the automotive industry for two reasons. First, these high-tech features have more advanced capabilities while remaining easy and intuitive to use. Second, Chevy technology is integrated into all models and trims without inflating the price out of reach. The possibilities are exciting, but remain accessible to more drivers. Explore some standout features below become exploring them in person at Nimnicht Chevy in Jacksonville. This in-car infotainment system puts all the information and entertainment you want at your fingertips. A series of simple menus and controls allows you to access all your music, features from your phone, in-depth maps, and a lot more. And since everything is displayed on a big and bold touchscreen mounted on the center console, finding exactly what you want is quicker and less distracting than ever. If you have a teen driving around the St. Augustine or Orange Park area, this feature helps you encourage safe driving. You can help prevent speeding, music that is too loud and distracting, and driving without seat-belts. You can also review a report of each drive to help correct risky behaviors before they lead to actual accidents. The OnStar telematics system has many features, including a 4G LTE Wi-Fi hotspot. The signal has recently been enhanced to make it easier to steam movies of games during your travels. And since seven devices can connect at once, everyone in the cabin is able to take advantage. 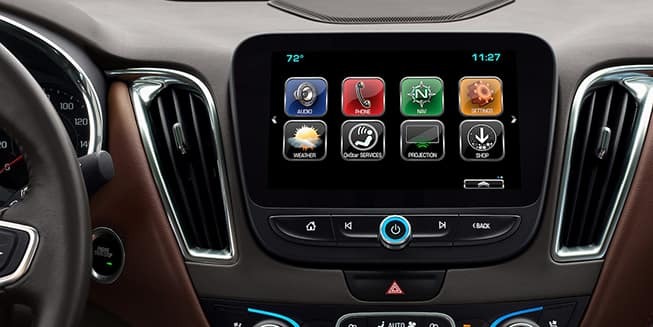 These features make it easy to integrate your favorite Apple or Android smartphone apps with your Chevy vehicle. Setting is up takes seconds, and once the link is complete you are able to access endless options for streaming audio, on-demand information, in-depth navigation, and instantaneous connectivity. You don’t have to take our word that these features will transform your drive. Simply visit Nimnicht Chevy in person to explore new vehicles and learn about the perks of our Chevrolet Connection Center. Our vehicle exchange program makes it easy to upgrade, so don’t delay your visit. Contact us with today with any questions.